There are some beautiful beaches in the UK but when you find tyres, toilets, car bumpers, disposable bags, and lots of other random rubbish on them, it really isn’t the nicest look in the world. 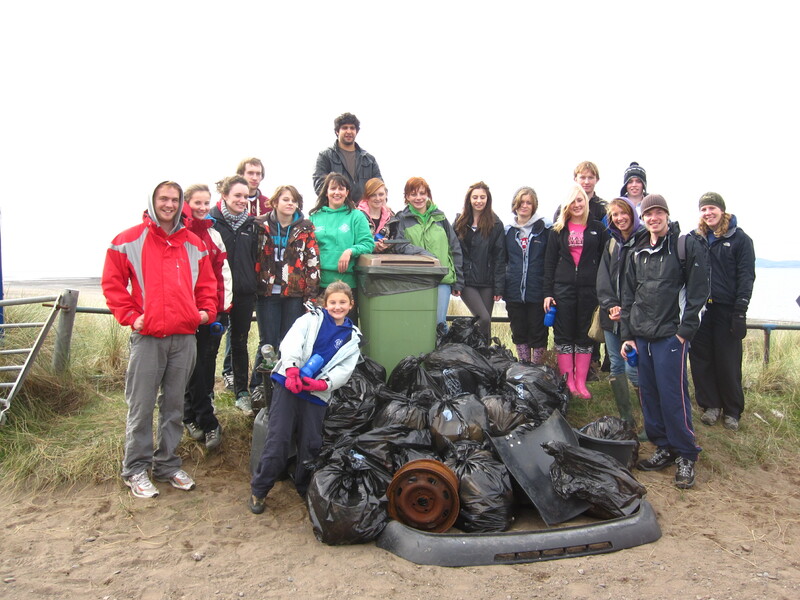 On that note, I would like to say a huge ‘thank you’ to our volunteers from the Lancaster and Penrith campuses who recently carried out a beach clean at Silloth Beach to help clear up some of the mess – and did a brilliant job! It was a great day to mark the start of many volunteering days over this academic year. When we arrived at Silloth we were all given our litter pickers, gloves and bin bags and off we went to see what grotty bits of litter we could find. The bigger the pieces the better too, it was the only time I’ve ever seen people excited to find soiled nappies and abandoned push chairs! Marine animals can mistake rubbish for food and many have died from consuming plastic bags, fireworks debris, and cigarette butts so the little bits of rubbish we removed was also a big help. It was a really rewarding day, lots of fun, it was a nice excuse to be outside and the hot chocolate and soup breaks back at the bus were a good way to warm everybody up. 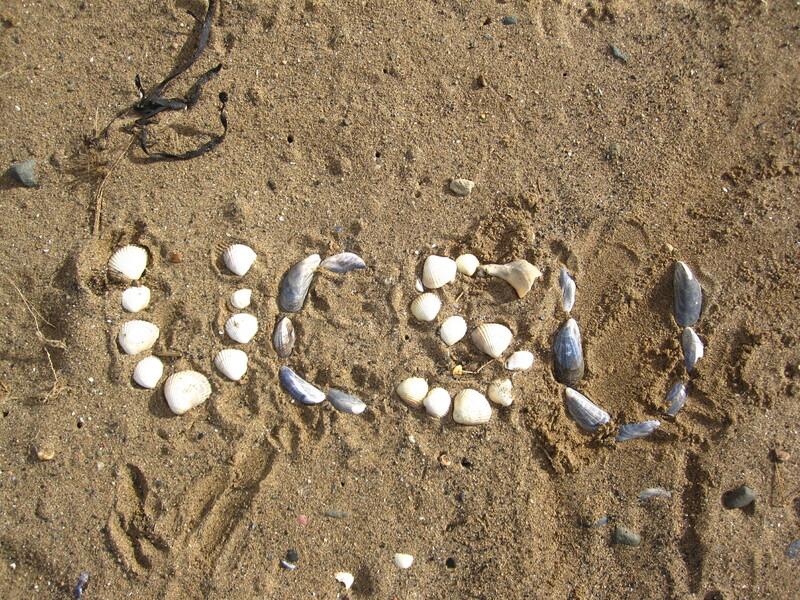 If you would like to volunteer to do a beach clean or would like to be involved in other voluntary projects please contact me by emailing kati.brown@cumbria.ac.uk. This week we travelled in pairs to the furthest districts of the region for distribution. Becci and Jash went to Namtumbo, Beth and Kath to Mbinga and Becka and Amy to Tunduru. Whilst we started distribution, Ted and Nicky carried on with the library at Msamala. They managed to finish the painting and get a good chunk of the library catalogue done. We all found the districts extremely welcoming and it was great fun to finally take the books that had taken so long to collect in the UK to schools where they would be put to good use. Whilst in our districts we all had experiences that would make them extremely memorable. Becci and Jash had a very sociable DEO and Becci spent her evenings getting acquainted with the local beers. Beth and Kath were welcomed with singing and dancing and left Mbinga with a live chicken that we later had in a very tasty stew! Becka and I had one of those ‘so this is what all that hard work was for’ moments. We arrived at Mbinga and asked to see where the books would be stored and we were taken to a beautifully laid out library with a ‘READ International’ sign above the door! Thursday and Friday were spent distributing to Songea Rural, two schools first and then three on Friday. We are really starting to feel at home in Songea and can’t believe we have to leave in about 10 days. It’s moments like when you walk down the street and bump into people that you’ve met over the past few weeks that makes this town special. Corny as it sounds, it’s true! Phillip Whitehead and I went to check on the state of the trees we planted at Sewborwens Farm in December. I am happy to report that despite the heavy snows and frosts of winter and a large number of weeds the survival rate is very high. There are we believe about ten dead whips still in the ground and possibly about 100 that have been either blown out by winds or eaten by rabbits. Given the planting density, the inexperience of those doing the planting and that they have not been further tended this is fantastic. The small gaps left by the missing trees will fill themselves in as the trees grow into the desired hedgerow. While the Tree O’clock record attempt was not successful the students and staff that took part can be very proud that the trees they planted will grow and thrive and be there for many years to come.